What we're trying to do is change. We don't want to be the same person constantly living in sin and that sin filling us with emptiness. We want to be whole again. But it's not something we do over night. This problem didn't come over night and it's not going to go away over night. If you're still at it, you've gone 57 days now with this program. Hopefully you've felt something change with in you, even a little bit over those 57 days. You may be in the middle of it by this point. It might be messy but don't give up, because this transformation, this repentance will radiate in the beauty of God, who we will see clearer with a less messy lens, when we reach an attainable goal. Change is what we are working toward. It also doesn't mean that we will be free of temptation. We will feel that temptation until the day we die, but we are putting on muscle and building up our defenses so that the temptations do not become realities in us any longer. 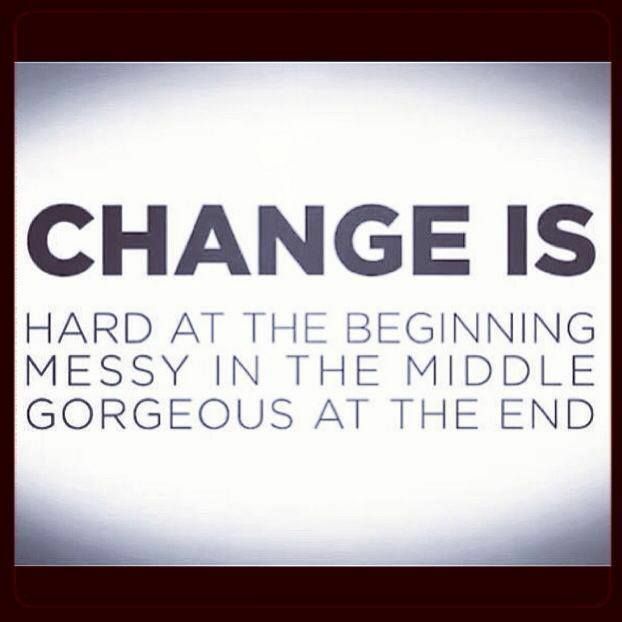 Know that change is hard, but you're doing what it takes to change and you should be proud of that. Keep moving forward! B. In the Fortify Program, Update the battle tracker. Go to week eight and check out "Mini Social Media Vacation" and "Productivity." D. Journal the following: 1. What is something in your life that you have changed positively in? It could be growing up, becoming more educated etc. 2. What steps did you take and how long did it take to accomplish those goals? Today's Tips: When the urges come get up. Stop. Breathe. Pray. Go do as many push-ups as you can. Then take a break and go do another set and then again one more time.